Swiss techno titans !Organism welcome Nick Hansen with four firing new tracks that get backed up by a remix from A. Mochi. 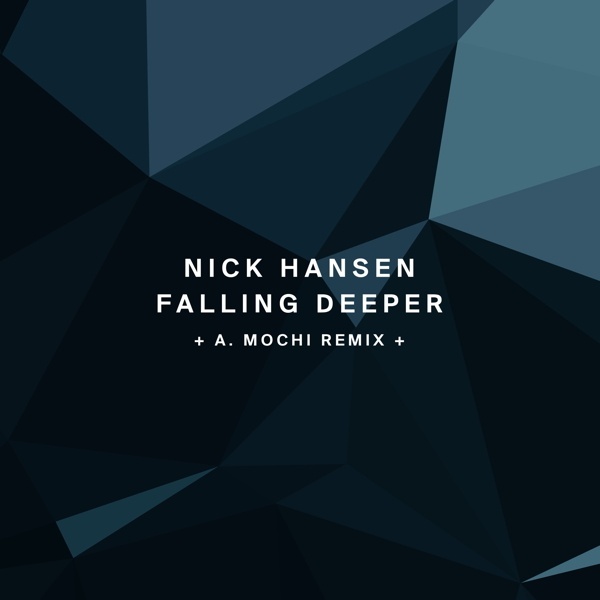 New York artist Nick Hansen grew up seeing the likes of Chris Liebing, Adam Beyer and Victor Calderone play his local clubs. Now he is making his own mark on the scene with gigs at key clubs and festivals round Europe and the US, his own radio show and, of course, his powerful techno productions, which have picked up plays from the likes of Richie Hawtin, Paco Osuna and Joseph Capriati. The hulking ‚Falling Deeper‚ opens things with heavyweight kicks rattling your bones. An acid bassline squiggles up through the mix as icy hi hats dance up top. It’s a thunderous track full of suspense and one that will consume even the largest of clubs. Just as powerful and attention grabbing is ‚Walk Alone‚ with its monolithic kick drums, echoing vocal cries and acid undulations. The excellent ‚Lost In Forever‚ is a darkly atmospheric track with an eerie atmosphere. It’s sparse and unsettling with firing hits, warped bass and twisted synths all casting a spell as the groove drives on. Final original ‚Saved Me‚ is a brilliantly riotous track with frazzled synths, loopy sirens and big drums. All that makes for an edgy tune that changes shape at the hands of various filters and is sure to stand out in any set. A. Mochi is a Japanese artist and key part of Len Faki’s Figure label. A prolific producer over the last ten years, he is a respected artist who proves why with his remix of ‚Falling Deeper.‘ In his hands the track is a tightly woven, rubbery and supple techno roller with haunting drones and busy percussion all working you into a lather. Once again here !Organism have served up some seriously sizzling techno sounds.